Researchers at Stanford University are attempting to tackle the problem of nausea and headaches in virtual reality by developing VR displays that adapt to individual sight needs. A big problem with the headsets that are currently available is that because their displays are fixed at a set distance from our eyes, they don’t allow our vision to focus naturally. According to lead researcher Gordon Wetzstein “Every person needs a different optical mode to get the best possible experience in VR” and by not accounting for the fact that we don’t all have identical eyesight the headsets can cause nausea and headaches. The researchers found that visual conflicts in VR tend to affect young people and older people differently – for example, older users tend to have more trouble focusing on objects that are closer to them than younger people so the solution for their problem would have to be different. One of the hardware options involves the use of liquid lenses inside the headset which can be adjusted by twisting a dial. The other works more like binoculars by mechanically moving the display screen back and forth. Both hardware options are enhanced by eye-tracking technology and other software to keep track of where the user is looking on the display and adjust what they’re seeing accordingly. At the moment the software is able to help those who are nearsighted, farsighted and presbyopic but isn’t able to account for other vision problems like astigmatism just yet. 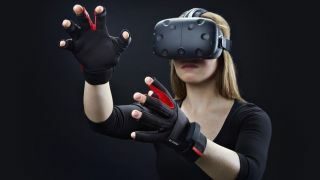 Considering nausea and discomfort will be a major entry barrier for many people looking to use virtual reality headsets, solutions such as this will be incredibly important for the future of the technology. Not only will it help those who feel nauseated immediately, it’s also likely to allow others to use the headsets for longer periods without issue.